I knew even before I stepped off the plane that this was going to be an unforgettable adventure. From the very beginning we hit the ground running. We arrived in Curitiba Airport and were greeted by University of Illinois signs and smiling faces. Our hosts and our Brazilian instructor stood there waiting for us and soon after our true adventure began. Myself and two other University of Illinois students were on this trip, but the experience was definitely different for each one of us. Once I stepped off the plane in Curitiba and entered my host family’s car, Brazilian culture surrounded me…and it was beautiful. It was Mother’s Day when I arrived in Curitiba and it was just as important of a holiday as it is here in the United States. From the start I was treated like a part of the family and was introduced to cousins, uncles, brothers, aunts, and grandparents of my Brazilian host family. I was told/shown the lineage of each and every family member, enjoyed laughs, shared experiences, pictures, politics, and a little bit of religion. (This was mostly done with a translator of course, haha.) Even with it being so early in the trip, I soon forgot I was even in a different country entirely. I just felt at home. 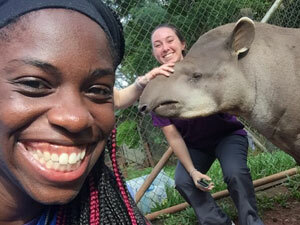 Since everyone on the trip aspires to be a zoo veterinarian after graduation, our trip was heavily tailored to get the most zoo and wildlife experience we possibly could out of this trip. We spent two weeks in Brazil altogether. 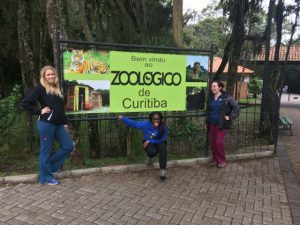 The first week was spent in Curitiba where we spent two days on clinical rotations at UFPR veterinary school and the last three days at the Curitiba zoo. The second week was spent in Foz do Iguazu where we spent the majority of the time at a wildlife refuge known as Refugio Biological Park and a day at the bird park known as Parque das Aves. I will cherish for the rest of my veterinary career the experiences I had in these two weeks. 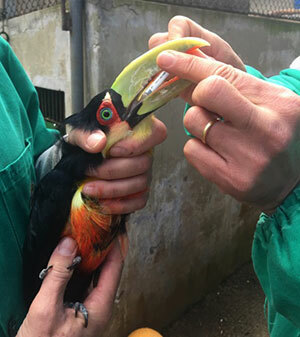 I had the opportunity to watch procedures out in the field, give vaccinations, and work with famous Brazilian veterinarians at the Curitiba zoo. 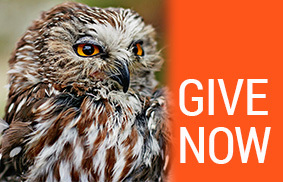 I had the opportunity to work with my favorite animals, learn proper restraint techniques, give vaccinations, and obtain lifelong friendships at UFPR. I had the opportunity to explore a different culture and country, observe a “day in the life of a zoo/wildlife veterinarian,” and work with two more famous Brazilian veterinarians at Refugio and Parque Das Aves. Even with this trip only being two weeks, I somehow made connections in a field that desperately requires for me to have some. 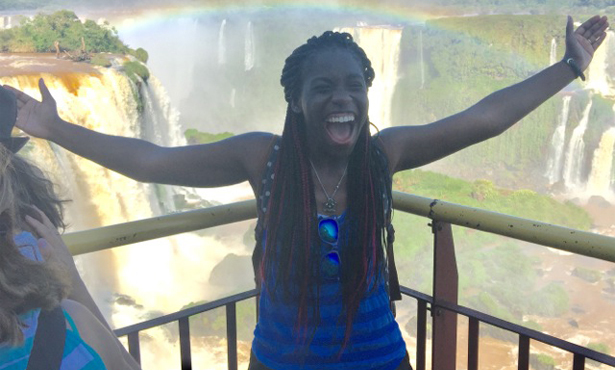 Tips for your Brazilian adventure: Learn basic Portuguese phrases, get an “automatic” rental car ASAP for Foz (unless you know how to drive a standard), and learn to celebrate differences.